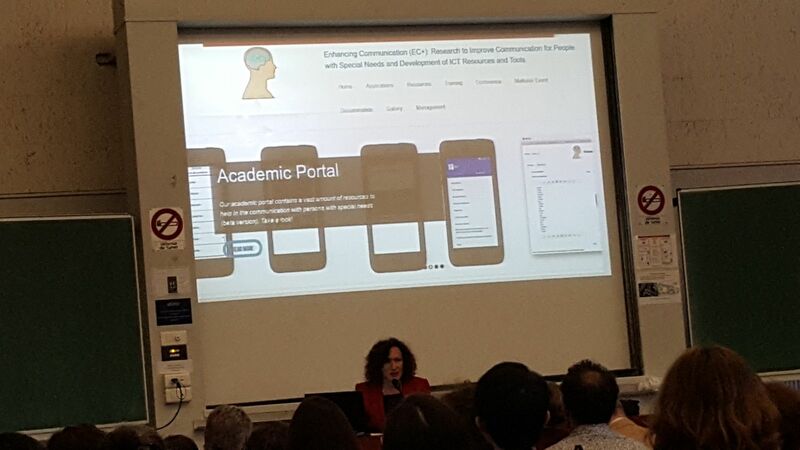 Isabel Cómitre presenting EC+ Project during 60e anniversaire de l'ESIT (École Supérieure d'Interprètes et de Traducteurs) - Colloque International Traducteurs et Interprètes face aux défis sociaux et politiques: la neutralité en question, held on Paris on October 27. 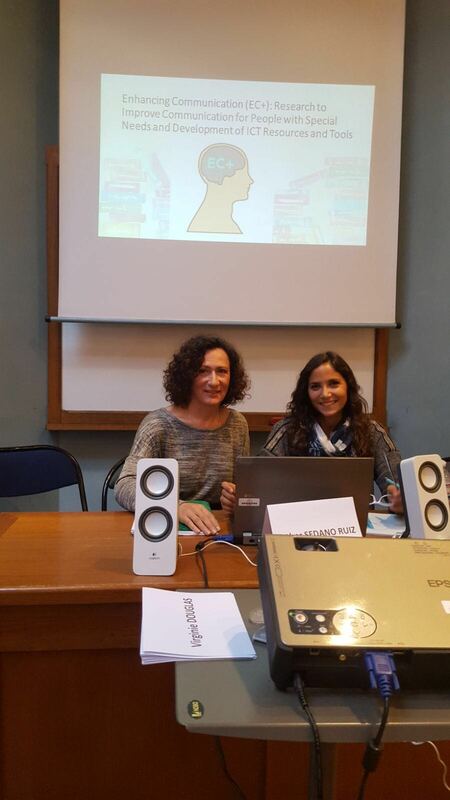 Isabel Comitre Narvaez and Esther Sedano Ruiz presented the EC+ project in Translating the Senses in Children's Literature meeting that was held in the Université de Paris III - Sorbonne Nouvellle (Paris). During October several dissemination activities about EC+-Project were held in Klagenfurt. 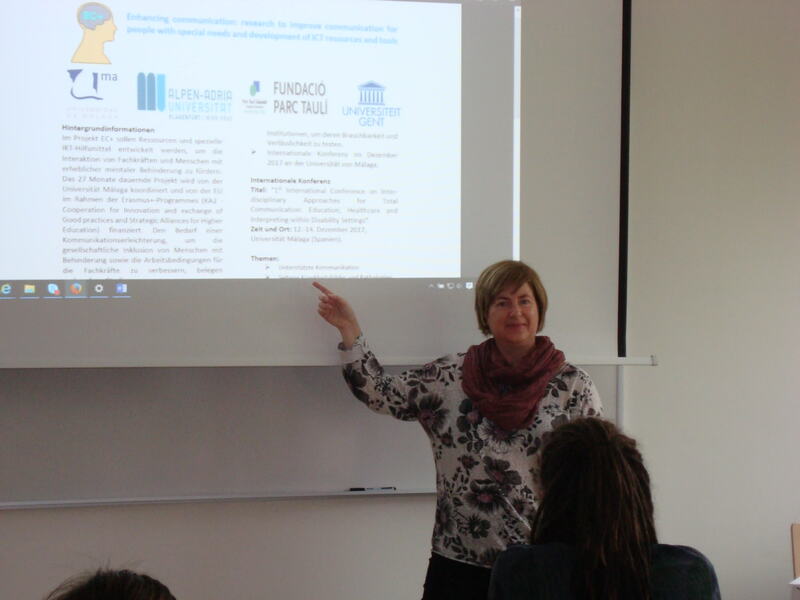 The project was presented in two courses ("deaf studies" and "EC+ training course"). Also, the applications were shown to deaf persons from a local deaf club. You can find more photos at our Gallery. 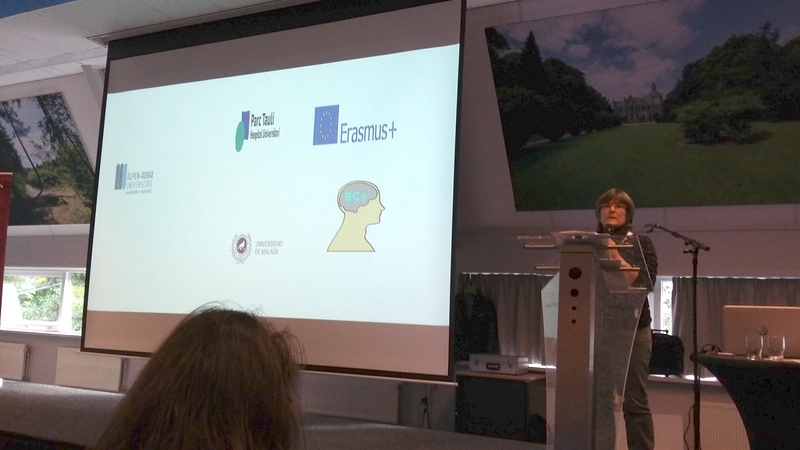 On October 3 2017 Hildegard Vermeiren (UGent) presented the EC+ Application "Enhancing Communication" at the Symposium of the International Society for Augmentative and Alternative Communication/Section Netherlands and Flanders (ISAAC-NF) in Doorn (Utrecht/The Netherlands). The theme of the symposium was "Communication in a new perspective". Around 170 people attended the symposium. The well-known Universitary newspaper Aula Magna publishes an article (in Spanish) on the EC+ project. The link here (see page 27).